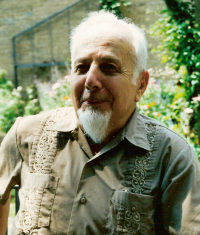 During the celebrations of World Environment Day on 5 June 1990 in Mexico City, the United Nations Environment Programme (UNEP) honored 78 laureates from around the world by including them in “The Global 500: The Roll of Honour for Environmental Achievement.” Among those selected was Milton M. Kaufmann, Founder and coordinator for several years of the Wider Caribbean Sea Turtle Conservation Network (WIDECAST), an international scientific organization. 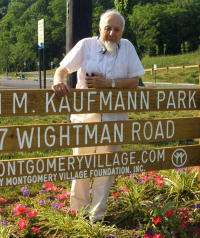 Col. Kaufmann has founded other visionary organizations over the years, including Monitor Consortium-USA (a coalition of 33 wildlife conservation and animal welfare groups) and Monitor International (founded in 1978 for the worldwide protection of natural areas and endangered and threatened wildlife). For nearly a decade Monitor International served as the lead non-government organization working towards the adoption by Wider Caribbean governments of a Protocol to the UNEP Cartagena Convention concerning Specially Protected Areas and Wildlife (SPAW Protocol), a comprehensive international agreement providing substantial regional protection for sea turtles and other threatened species. 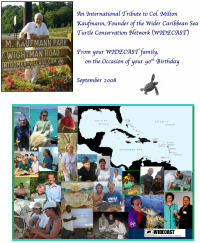 On the occasion of this 90th birthday in October 2008, WIDECAST Country Coordinators, friends and partner organizations from more than forty nations contributed to a Memory Book filled with sentiments describing what WIDECAST has meant to them and to the development of sea turtle conservation, research and management in their countries over the years. 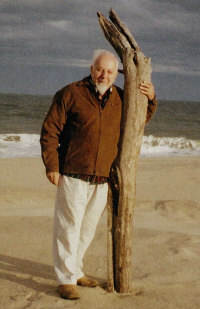 The WIDECAST network benefited tremendously in its early years not only from Col. Kaufmann’s vision, but also from the skills of its first Coordinators: Dr. Peter Pritchard, Dr. James Richardson and Dr. Nat Frazer. 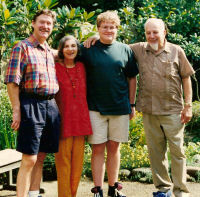 “WIDECAST has been a partner organization for the Caribbean Environment Programme of UNEP since the early 1980s, and through the years it has demonstrated to be one of our most successful and effective alliances for the achievement of conservation and sustainable co-existence between Caribbean peoples and their marine resources. The network’s dedication to the task and level of productivity can be seen in the numerous results and outputs of high quality which we have obtained through our association with this unique regional entity. 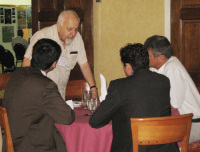 Country-specific ‘Sea Turtle Recovery Action Plans’ and other technical reports continuously being prepared, the creative educational and public awareness materials produced, the training provided and the number of seminars and workshops convened, as well as the heightened attention given to these issues by Governments, serve to document WIDECAST’s achievements in this region. However, and more importantly we believe, are the results and the impact which WIDECAST’s activities have had, documented through letters and words of support received from Governments of the region, changes in wildlife conservation policies in a number of countries due to the existence of recovery action plans and awareness activities, and numerous cases of behavioural changes among the relevant stakeholders (e.g., fishermen and tourism-related communities).